Lynlee Boemer hasn't been in this world for very long. But this little angel already has one incredible story. She's been born twice. . . literally! 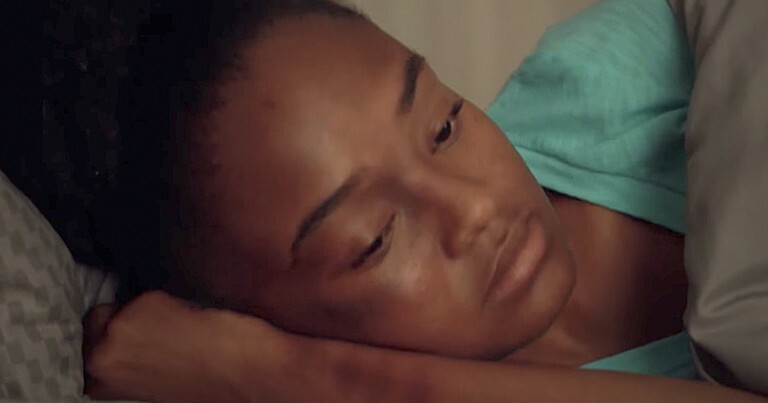 A life-threatening tumor left doctors with no choice but to bring her into the world prematurely, operate and then put her back into the womb. And her story is too amazing to miss! Around 16-weeks into her pregnancy, doctors handed Texas mom, Margaret Boemer, some pretty awful news. 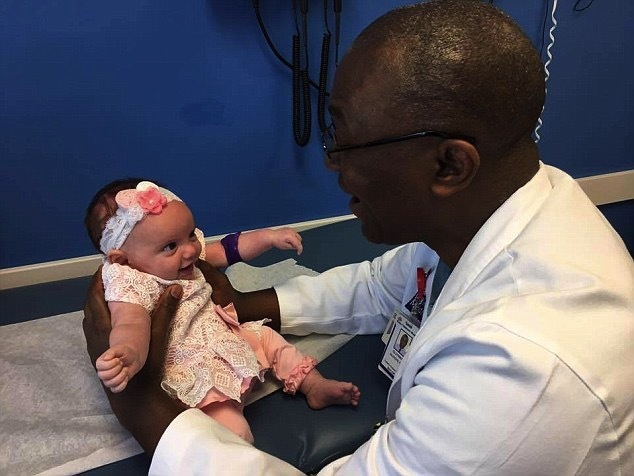 "They saw something on the scan, and the doctor came in and told us that there was something seriously wrong with our baby and that she had a sacrococcygeal teratoma," Margaret explained. "And it was very shocking and scary, because we didn’t know what that long word meant or what diagnosis that would bring." 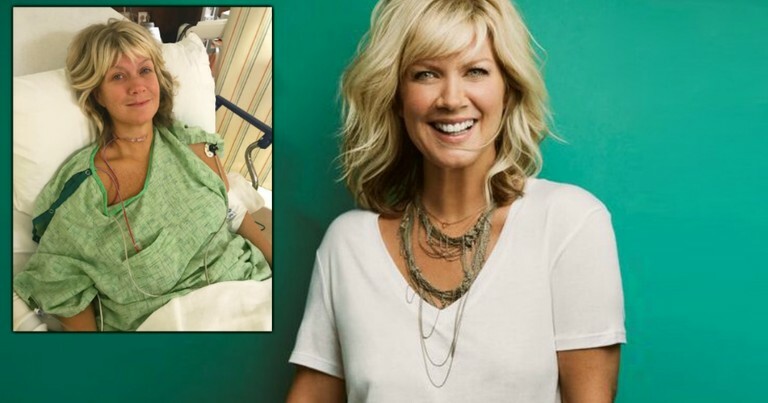 What it meant was that her baby girl had a life-threatening tumor on her tailbone. 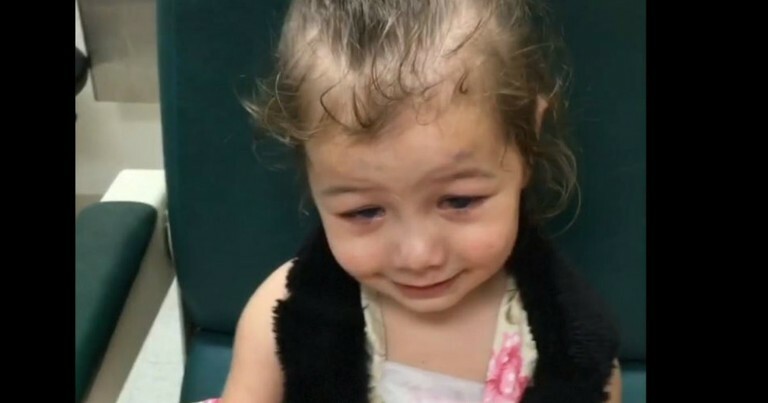 The tumor was robbing the growing baby of the blood needed to survive, and by 23-weeks, it was causing little Lynlee's heart to shut down. The grim situation called for desperate measures. 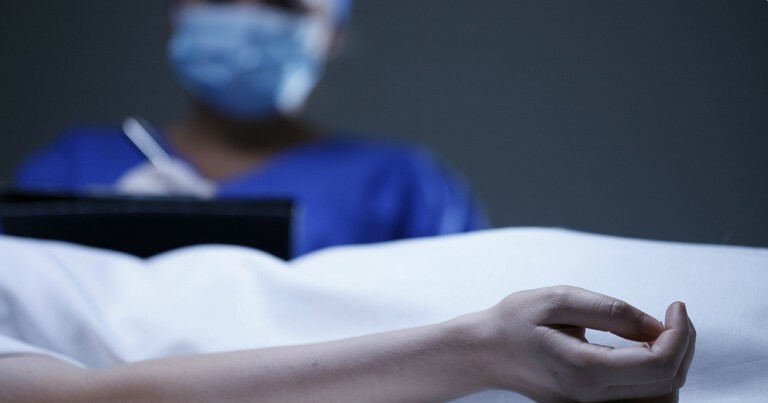 Either the couple could let their baby die, or allow doctors to remove her from the womb to perform a risky operation aimed at saving her life. Naturally, the loving parents wanted to give Lynlee the best chance she had at survival, no matter how slim the odds. 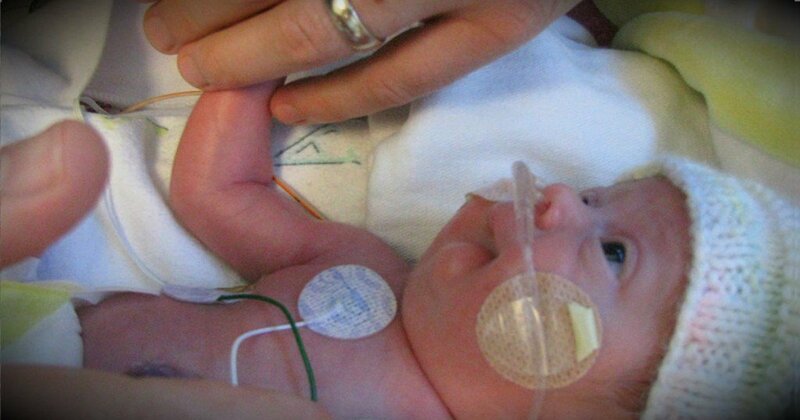 Lynlee was brought into the world for 20 minutes via c-section, weighing just 1lb 3oz. 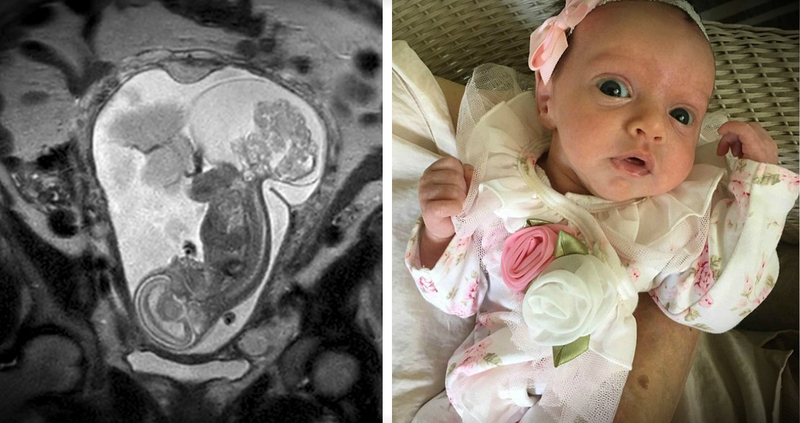 Doctors removed her tumor and ever so carefully placed her back in her mother's womb where she could recover and fully develop. Twelve weeks and one c-section later, Lynlee returned to the "outside" for good, weighing a much healthier 5lb 5oz! "It’s kind of a miracle you’re able to open the uterus like that and seal it all back and the whole thing works," said Dr Darrell Cass. At 8 days old, Lynlee had another procedure to clean out the bits of tumor that were left over. But all went well, and now she's happy, healthy and at home. Clearly, God has big plans for this little angel! 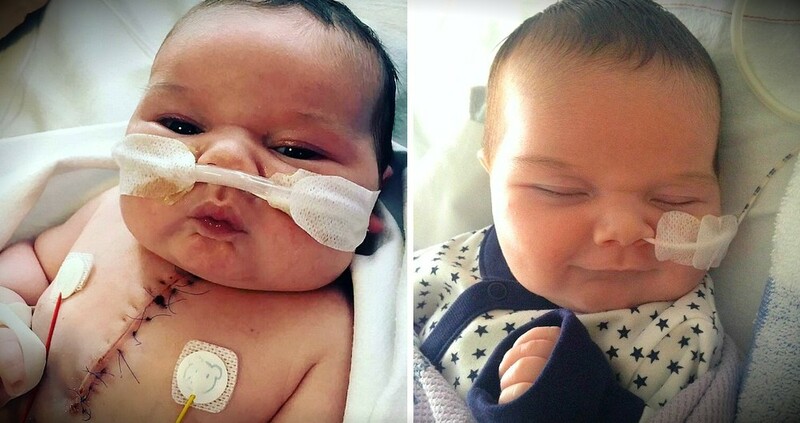 This little miracle survived being born with no kidneys and wowed doctors!